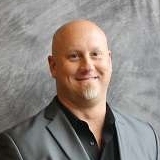 Jason has worked in the financial industry of many businesses for over 20 years. He is currently CFO for the nation's largest network of real estate and auctioneer professionals in the United States, where he specializes in all types of properties. Jason is very proud of having helped successfully raise $30 million in new capital. On a personal level, he enjoys coaching a youth soccer team, as well as donating to Camp for Kids.